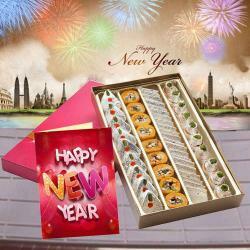 Product Consists : 1/2 Kg Chocolate Truffle Round Shape Cake along with New Year Greeting Card. More the chocolate on Cake more is the delight. 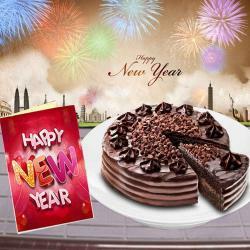 Have a look at this hamper that has one sinfully rich chocolate clad Cake that is round in shape. The chocolate truffle Cake is made with layers of chocolate covering the Cake and decorated also with chocolate flakes and rings on sides. 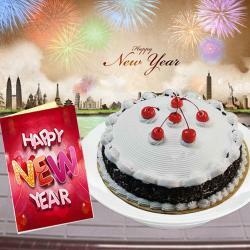 The top of Cake is decorated with simple chocolate icing to make it look super elegant and desirable. 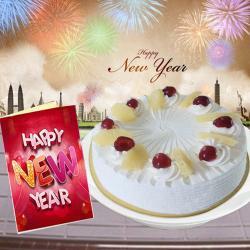 It comes clubbed with a Happy New Year card. 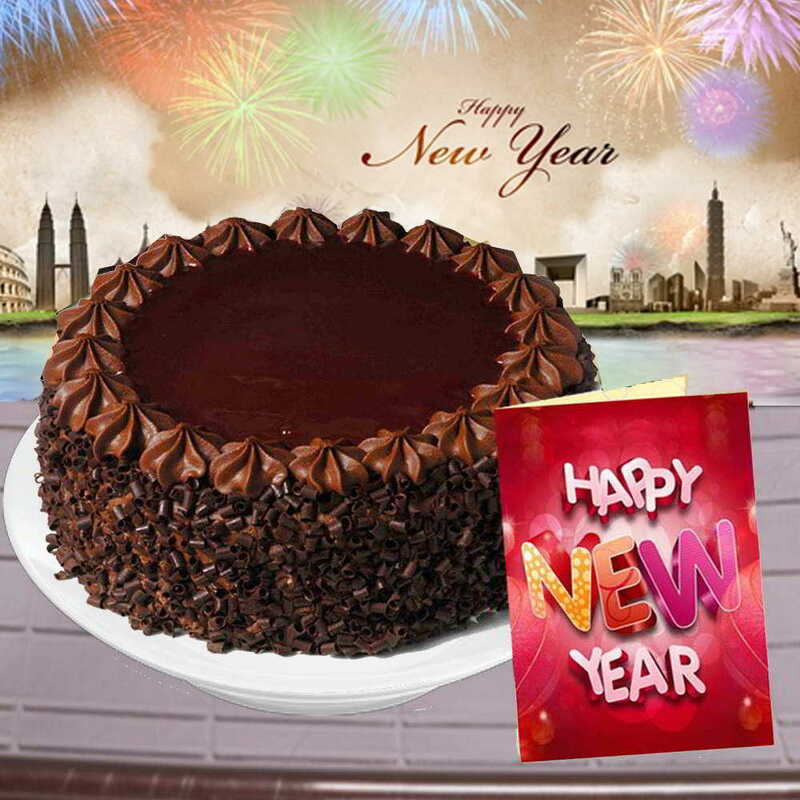 Product Consists : 1/2 Kg Chocolate Truffle Round Shape Cake along with New Year Greeting Card.